If you haven't heard of Everlane you are in for a treat today! Everlane is an online clothing company whose motto states, "Modern Basics, Radical Transparency." They are just that- modern essential clothing with a very transparent look at where your money goes. Since they are an online only company they eliminate many over head costs and you reap the benefits of their savings. I personally own many of their pieces and can not rave about them enough. Their customer service is top notch, shipping is timely (and free with 2 or more products), and returns are easy. First up, dresses! These are my favorite everyday dresses from Everlane. Throw on a cardigan or blue jean jacket and these will carry you through fall. It's that time of year again - time to begin bringing out the long sleeves, sweaters, and boots. Along with bringing out the fall/winter wardrobe comes freshening up with new hair, nails, and makeup for the next season. First up, out with the old and in with the new. 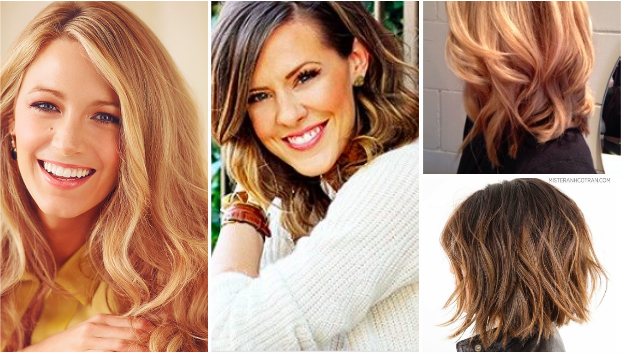 Get rid of those split ends and revive those luscious locks with a fresh new do. I love Courtney Kerr and Blake Lively's take on the loose waves. Below you will find a round up of our favorite hair reviving and styling products. Next up, those nails. Time to trade those bright, summery colors for a more subtle, warm feel. Below is a round up of my favorite fall/winter colors from two of my favorite brands- Essie and OPI. Last, but certainly not least, time to rid our faces of that summer skin and freshen up with autumn colors. Below is a round up of my favorite make up products to do the job. Look like the celebs with these stunning makeup ideas. Click the link under each picture to shop the look. Jessica Alba sports the all so famous smokey eye so well. Sweep a gunmetal tone over the eyelid and a neutral brown in the creases. Finish the look with this eye-opening mascara. Minka Kelly radiates beauty with an all over bronzed look and a touch of rosy red cheeks. Kate Bosworth rocks red lips- the perfect look for those holiday parties and outings. 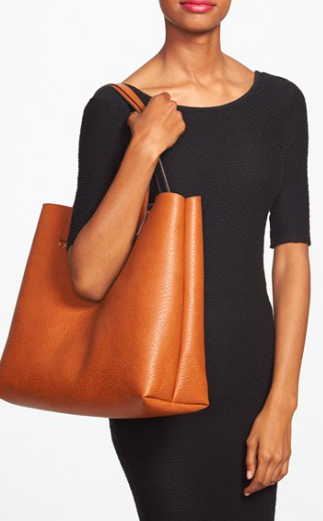 Leather totes are all the rage this fall. You NEED one of these, maybe even two, to add to your essentials wardrobe. I am obsessing over each and every one of these. Below are my top favorite leather totes including the best bang for your buck and the best splurge. I've done all the research so all you have to do is pick the one that fits your needs and style the best and get to shopping. Check 'em out, you can't go wrong with any of these! This bag comes in six different color combinations and received 4.6 stars for it's durability, versatility, affordability, size, and overall style. The Tory Burch Perry Tote can be found at Bloomingdale's. 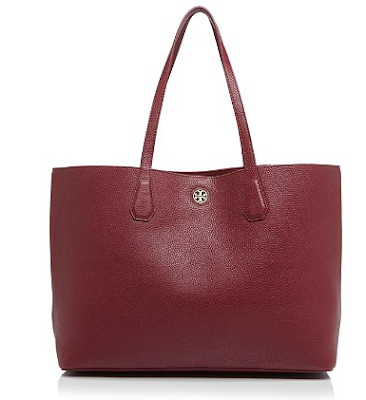 Loved for its roomy inside, rich color, and soft pebbled leather this tote received a 4.7 overall rating. This "Deep Berry/Tea Stain" screams fall and I love it. If this isn't quite your style, no worries, there are 6 other colors to choose from. I love the Classic Leather Tote from Cuyana (which means 'to love'). You have a choice of the classic size or tall and multiple colors available. This tote is designed in San Fransisco and made in the USA. I admire their mission and quality products. Barrington Gifts has so many great options to fit every style, that's why we love it so much! They've got gameday bags, leather totes, and create your own where you get to pick the color, pattern, and monogram style. Here are a few of our favorites for the fall. Here are my top 6 favorite bags for the fall, in no particular order. 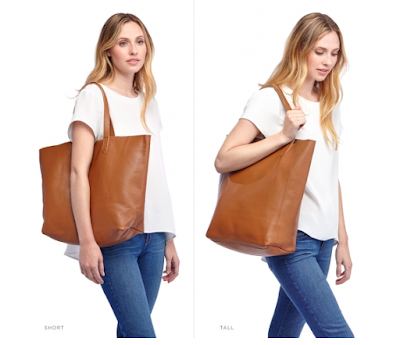 Don't be behind on this year's trends- get your leather tote today! !